Swat 12302 fly repellent ointment for wounds and sores can be used on horses, ponies and dogs. Apply it to existing fly bites and sores to keep flies away while the skin heals. Ideal for use on ears and face. 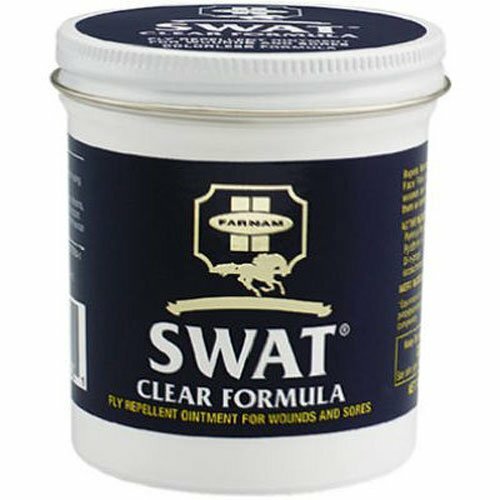 Swat ointment kills flies on contact and keeps them from messing with wounds while its healing properties help wounds heal faster.